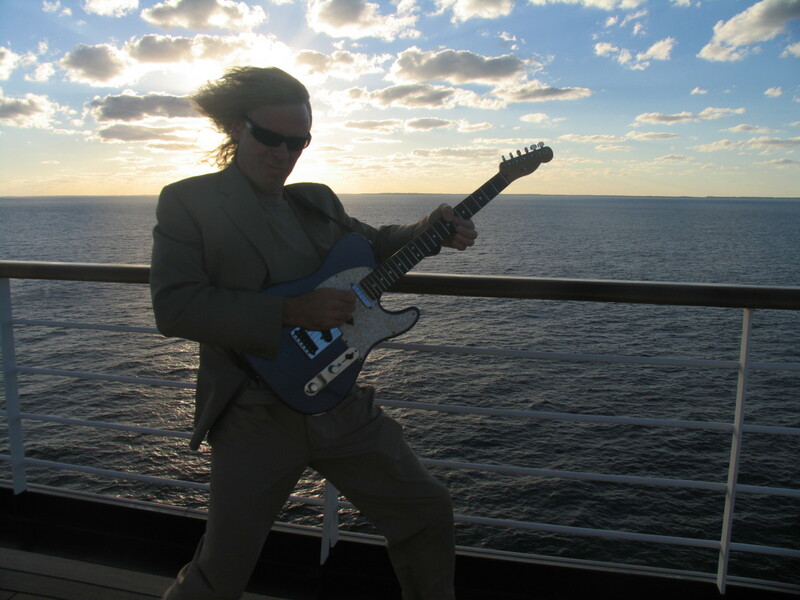 Music School Owner, Recording Artist, Guitarist, Composer, Performer & Educator. My goal is to make good music, make and keep good friends. The major pentatonic scale on the guitar, and particularily the E major pentatonic scale is a blues and rock guitar staple. 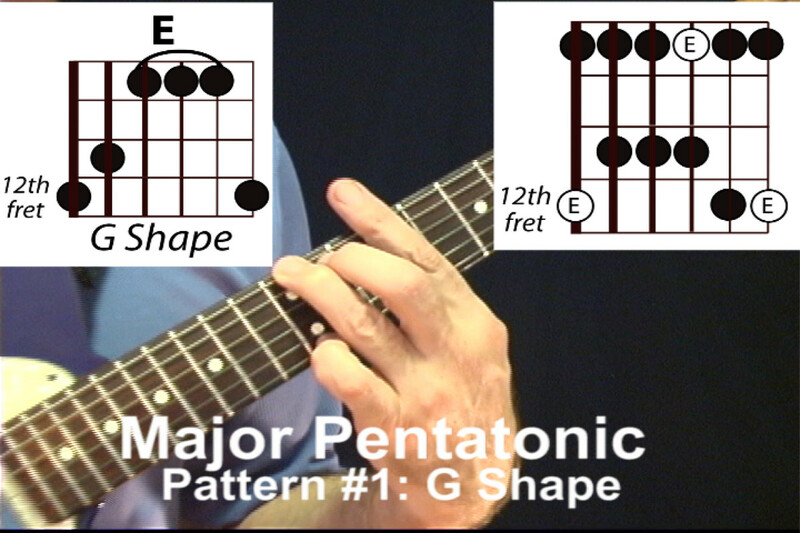 A training video lesson to help the guitarist learn the 5 pentatonic major patterns in E major as they correspond to the CAGED bar chord shapes. The pentatonic scale as the name implies is a five note scale. 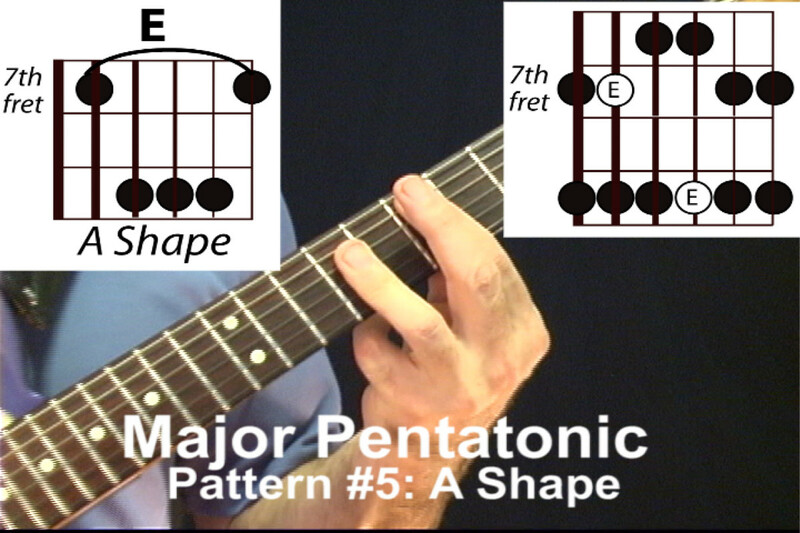 Although there are many five note pentatonic scales out there, the most common ones are the minor pentatonic and the major pentatonic. 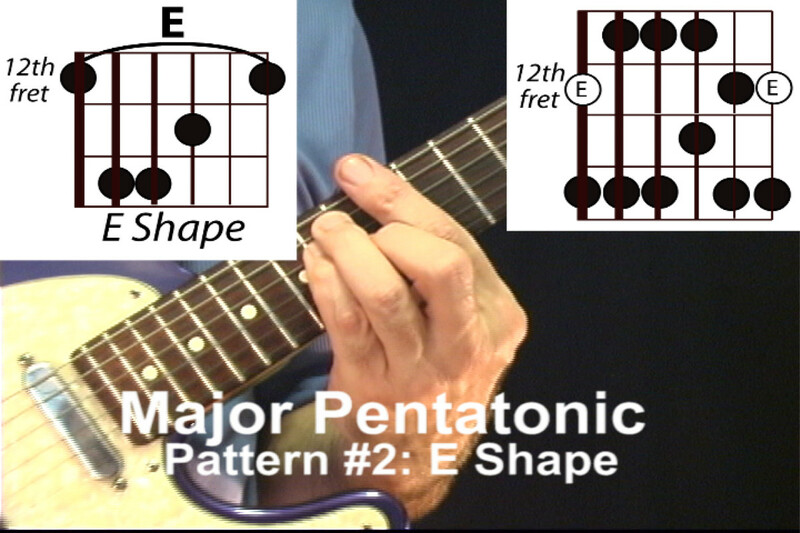 In the E major pentatonic the notes are E-F#-G#-B-C# and can be thought of primarily a subset of one of the three larger seven note major modal scales. In each case we are leaving out the the 4th and 7th note. 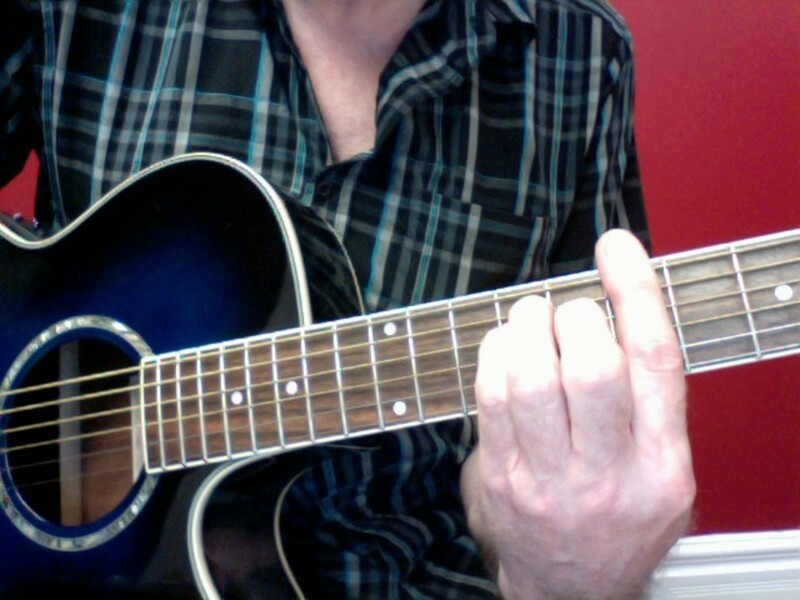 So, even though this is not specifically a lesson on how to solo over modes, this will give you the basic idea of how the pentatonic scale can work in a modal situation. In a mode, the chords and chord combinations often include those tricky left out 4ths and 7ths which are not the same in every mode. The solution is to use the pentatonic scale as a "blanket" scale, that one, leaves out those 4ths and 7ths, and two, makes a great reference point when you are learning modes. There are also multitudes of cool pentatonic licks out there that you will eventually pick up on. 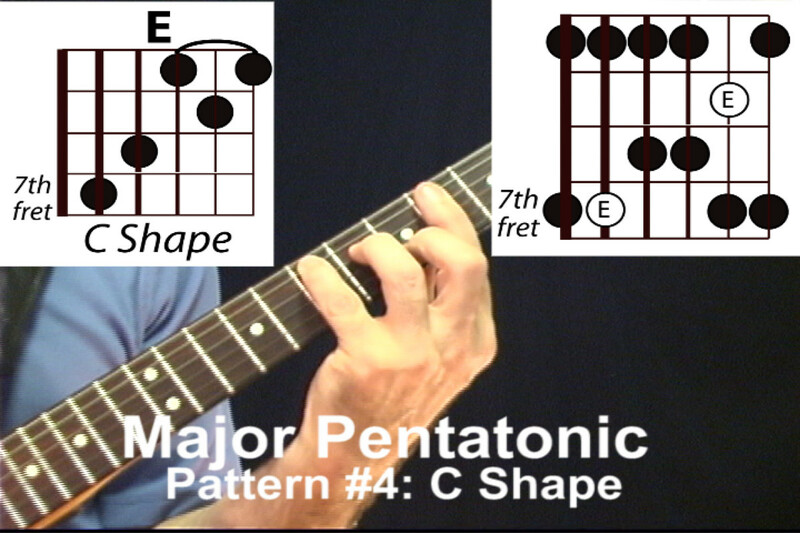 The C# minor pentatonic has the same notes as the E major pentatonic as well. This is known as the "relative minor" of E major and is a subset of the three larger seven note major modal scales. In each case we are leaving out the the 2nd and 6th note. So as in the case of the major pentatonic and the major modes, the minor pentatonic works as the blanket scale for all three of the minor modes. 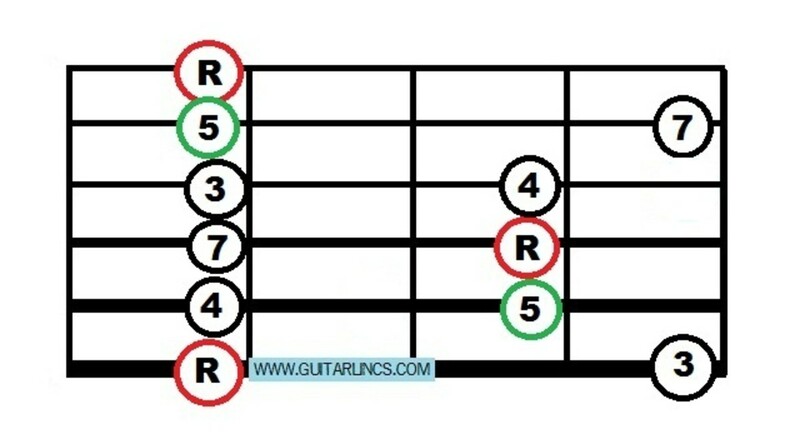 On the 1st chord (the I chord) of a blues often combined with the minor pentatonic. When the progression goes to the IV chord then there is a problem with the 3rd note in that it does does not fit. Therefore you lower it by 1/2 step or leave it out entirely. 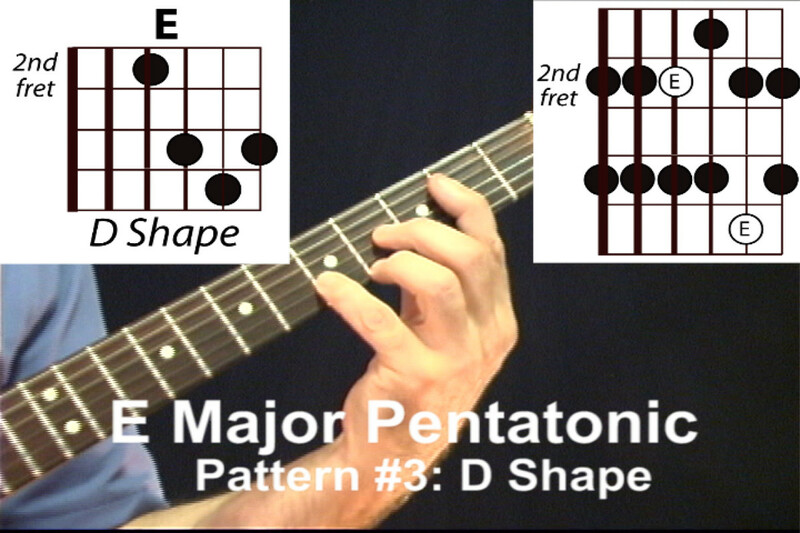 Often a player will change the major pentatonic as the chord changes. This is found in I-IV-V progressions in country and blues. On a major chord progression using combinations of chords from the key of E, A or B but revolving around the E chord this scale works wonders because it leaves out the 4th and 7th which are the ever changing notes depending on the mode. So often guitarists just learn the scales from top to bottom, 6th string to 1st and back. 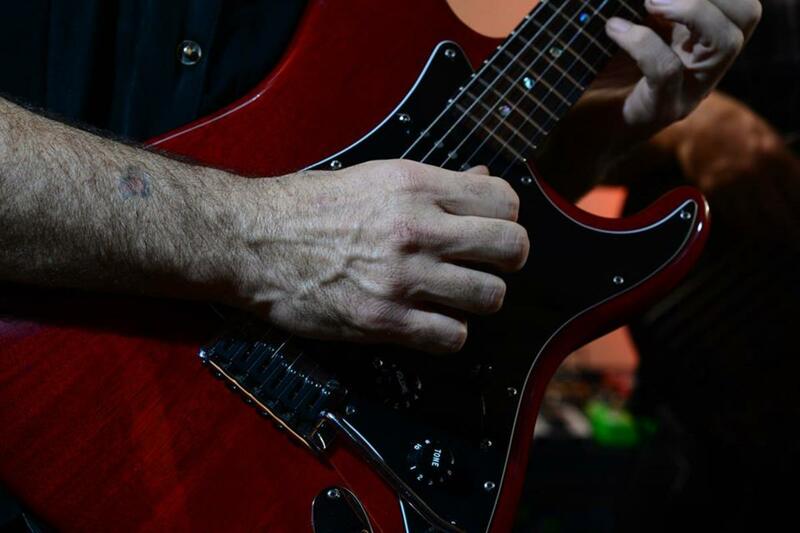 While you need to know the scales that way, it can't be emphasized enough how a guitarist needs to know all of their scales from root to root to know how the scale should sound. This means in this case, start on the E and end on the E. This is how these video lessons are structured. Even thought he whole pattern is ultimately played, the scale is broken up in such a way as to emphasize the E notes. We are also showing how the scales match the CAGED chords. More on CAGED below. 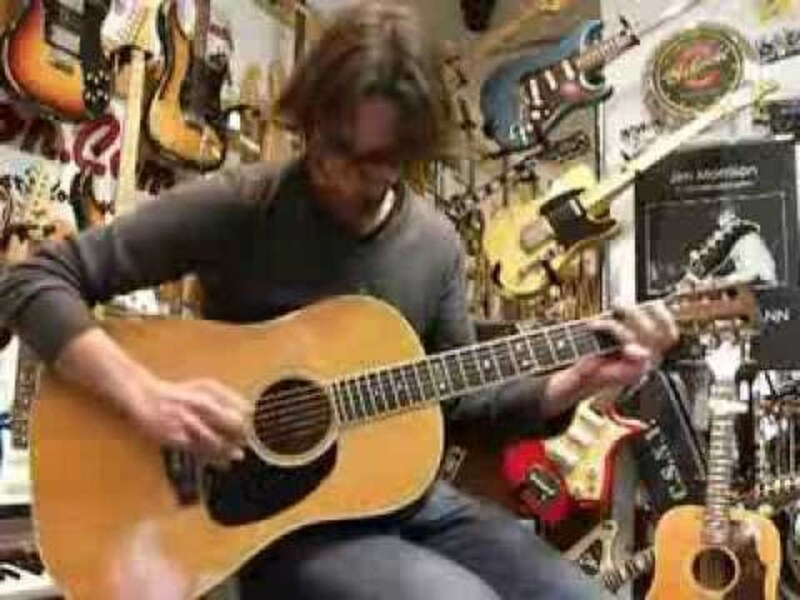 One of the most effective way to learn scales and solo on the guitar is to learn the scale on one string. This article discusses some of the techniques that lend themselves to single string soloing. This is the absolute bottom line of how to start playing guitar. 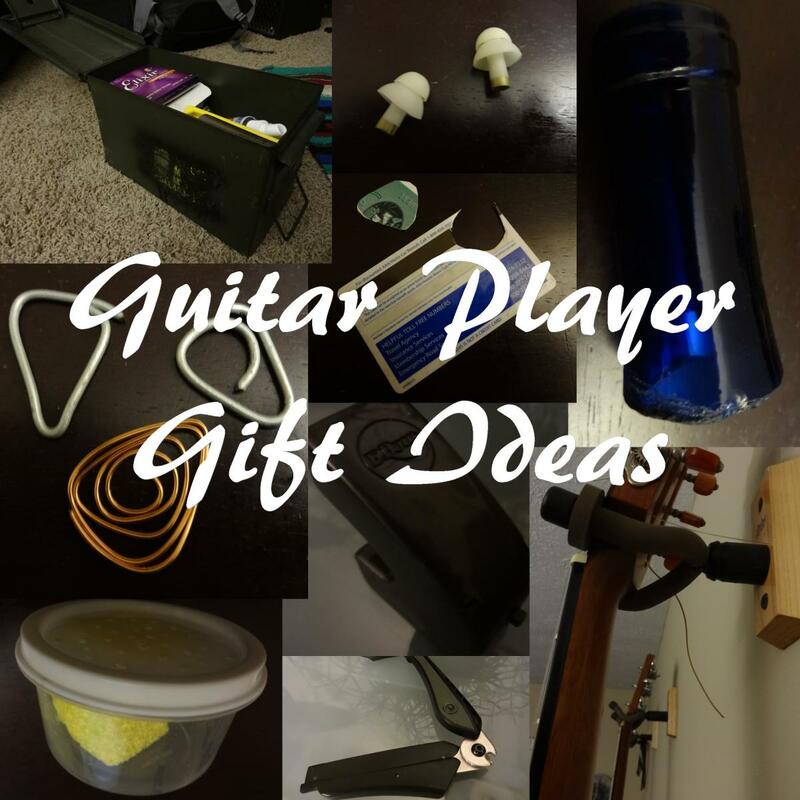 The information given here is in small chunks, easy to digest and will give the student a solid foundation to pursue guitar mastery. About how play in a band and not kill each other. Practice and rehearsal tips. One of the most recognizable cool blues rhythm riffage sounds are the alternating minor triads superimposed over a dominant 7th chord.. This article demonstrates how to use these must know patterns. This article will show you the best method ever of how to efficiently learn and memorize the notes on a guitar neck in the shortest amount of time.